"Finally, my brethren, be strong in the Lord and in the power of His might. Put on the whole armor of God, that you may be able to withstand in the evil day, and having done all, to stand." Revelation: This image is all about Identity !!! It powerfully communicates who we are in Christ, helping us to get a better mindset of how God sees us. When we can visualize ourselves as God's Warrior Bride, the truth of who we are goes from our head knowledge to reality in our hearts. As we go to new levels of believing that we truly are who God says we are, our faith grows and we become more effective in establishing God's kingdom here on earth as it is in heaven! 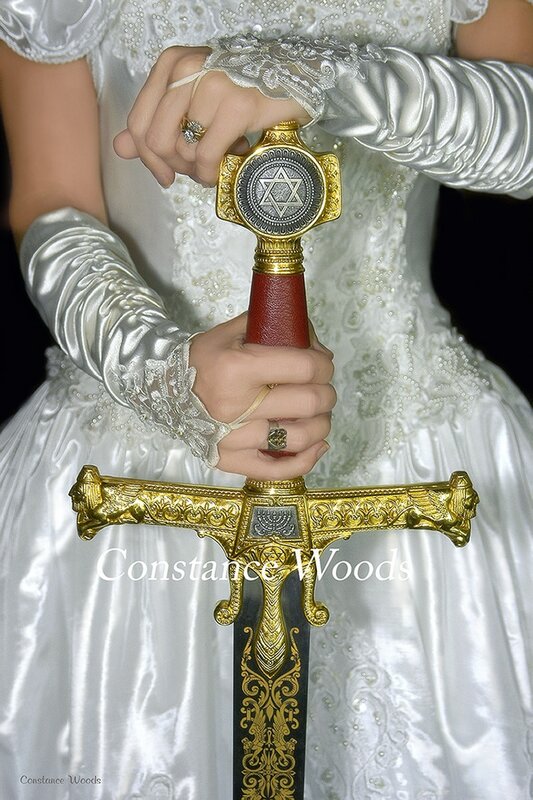 posture, the sheen of the white bridal gown, the pearls, the magnificent sword with its strong symbolism all speak of covenant, authority, purity, royalty, power, freedom, . . .
Inspiration: This image was birthed when two friends met with me for a day of worship and photography. We never dreamed that God would bring forth so much of His Kingdom purposes through a photo shoot! 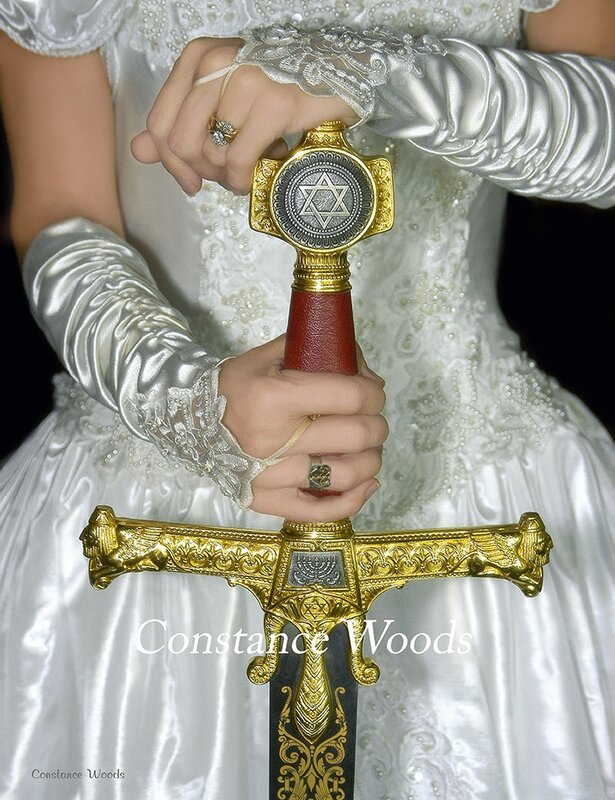 As we focused on the woman who is representing the bride of Christ, Holy Spirit said to get my pastor’s Solomon Sword and hand it to the bride. Warrior Bride ~ Stand was birthed. Warrior Bride Stand ~ This is a Cropped Version. The image is shorter and this fits standard size frames.